Belkasoft Becomes IACIS Titanium Level Sponsor! We are proud to announce that Belkasoft is now IACIS Titanium Level Sponsor! Titanium Sponsors are the ones that donated no less than $20,000 in products, services or funding which IACIS uses to subsidize the cost of student training and equipment in 2015. IACIS is a non-profit, volunteer organization wholly dedicated to training, certifying and providing membership services to computer forensic professionals around the world. ​IACIS provides a wide array of professional services and training for computer forensic practitioners and those aspiring to acquire certification in the discipline. This year the organization celebrates its 25th anniversary. As a Titanium sponsor, Belkasoft provided IACIS with a fair amount of licenses of our flagship digital forensic product Belkasoft Evidence Center. 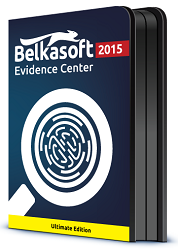 Belkasoft Evidence Center is an advanced all-in-one forensic solution for digital investigations. Covering both mobile and computer forensics, the product can find, recover and analyze for hundreds types of artifacts. Evidence Center is designed to make digital investigations easier, faster, more comprehensive, and more effective. Belkasoft offers special Academic Program for educational institutions and non-commercial training courses. We are glad to support colleges and universities, research centers, and organizations like IACIS.